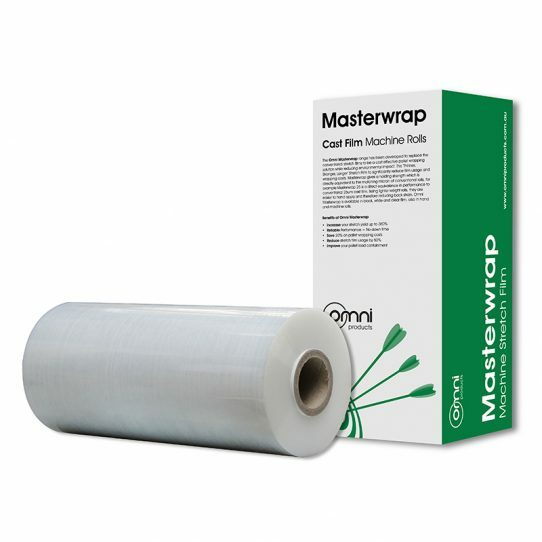 The Omni Master Wrap range has been developed to replace the conventional stretch films to be a cost effective pallet wrapping solution while reducing environmental impact. This high performance film uses in excess of 30% less film than the conventional cast stretch wraps therefore at a significantly lower cost. The Master Wrap Machine Stretch Wrap is a cast film available in 3 grades; 20, 23 and 25 to suit different load types and used as a replacement to conventional film. This Machine Pallet Wrap has stretch yields to 300% so you can wrap more pallets with less film.